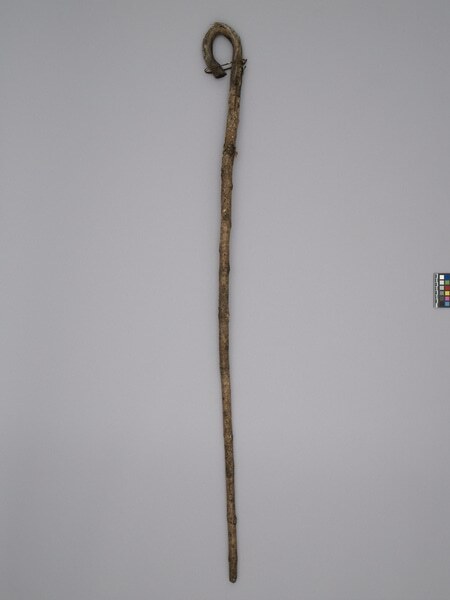 Long wooden shepherd’s staff. Made of a tree branch and curled around in a hook shape at the top. A piece of aluminum has been attached over the top curve.